Without the climate change caused by human activity, simultaneous heatwaves would not have hit such a large area as they did last summer. This is the conclusion of researchers at ETH Zurich based on observational and model data. Many people will remember last summer – not only in Switzerland, but also in large swathes across the rest of Europe, as well as in North America and Asia. Multiple places around the world experienced heat so severe that people died of heatstroke, power generation had to be curtailed, rails and roads started to melt, and forests went up in flames. What was truly sobering about this heatwave was that it affected not only one area, such as the Mediterranean region, but several across the temperate zones and the Arctic simultaneously. 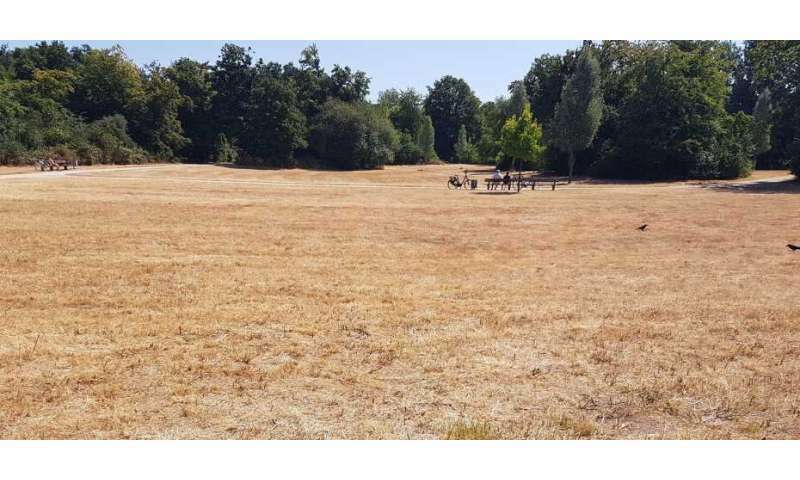 ETH researchers have concluded that the only explanation of why heat affected so many areas over several months is anthropogenic climate change. These are the findings of the recent study that ETH climate researcher Martha Vogel presented today at the European Geosciences Union press conference in Vienna. The paper resulting from this study is currently in review for an academic publication. In the study, Vogel, a member of ETH Professor Sonia Seneviratne's team, looked at the areas of the Northern Hemisphere north of the 30th latitude that experienced extreme heat simultaneously from May to July 2018. She and her fellow researchers concentrated on key agricultural regions and densely populated areas. In addition they looked into how large-scale heatwaves are projected to change as a consequence of global warming. To explore these phenomena, the researchers analysed observation-based data from 1958 to 2018. They investigated state-of-the-art model simulations to project the geographic extent that heatwaves could reach by the end of the century if temperatures continue to climb. An evaluation of the data from last year's hot summer reveals that, on an average day from May to July, 22 percent of agricultural land and populated areas in the Northern Hemisphere were simultaneously hit by extremely high temperatures. The heatwave affected at least 17 countries, from Canada and the United States to Russia, Japan and South Korea. By studying the measurement data, the researchers realised that such large-scale heatwaves first appeared in the northern hemisphere in 2010, then in 2012, and again in 2018. Prior to 2010, however, the researchers did not find any instances of such large areas being affected simultaneously by heat. Model calculations confirm this trend. As the earth grows warmer, widespread heat extremes become more and more likely. According to model projections, every degree of global warming will cause the area of land in key agricultural regions or densely populated areas in the Northern Hemisphere that is simultaneously affected by extreme heat to grow by 16 percent. Should global temperatures rise to 1.5 degrees Celsius above pre-industrial levels, then one-quarter of the northern hemisphere will experience a summer as hot as the summer of 2018 every two out of three years If global warming reaches 2 degrees, the probability of such a period of extreme heat rises to almost 100 percent. In other words, every year extreme heat will affect an area just as large as the 2018 heatwave did. "Without the climate change that can be explained by human activity, we wouldn't have such a large area being simultaneously affected by heat as we did in 2018," says Vogel. She is alarmed by the prospect of extreme heat hitting an area as large as it did in 2018 every year if global temperatures rise by 2 degrees: "If in future more and more key agricultural regions and densely populated areas are affected by simultaneous heatwaves, this would have severe consequences." Professor Seneviratne adds, "If multiple countries are affected by such natural disasters at the same time, they have no way to help one another." 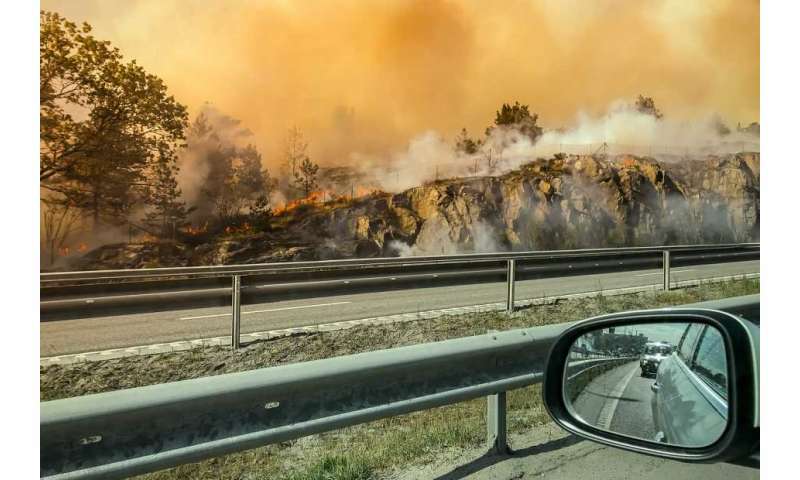 This was illustrated in 2018 by the forest fires in Sweden: at that time, several countries were able to help with firefighting infrastructure. However, if many countries are battling major fires at the same time, they can no longer support other affected countries. The food supply situation could also become critical: if broad expanses of areas vital to agriculture are struck by a heatwave, harvests could suffer massive losses and food prices would skyrocket. Anyone thinking these assumptions are overly pessimistic would do well to recall the heatwave that swept across Russia and Ukraine in 2010: Russia completely stopped all its wheat exports, which drove up the price of wheat on the global market. In Pakistan, one of the biggest importers of Russian wheat, the price of wheat rose by 16 percent. And because the Pakistani government cut food subsidies at the same time, poverty increased by 1.6 percent, according to a report by aid organisation Oxfam. "Such incidents cannot be resolved by individual countries acting on their own. Ultimately, extreme events affecting large areas of the planet could threaten the food supply elsewhere, even in Switzerland," Seneviratne emphasises. She continued by pointing out that climate change won't stabilise if we don't try harder. At present, we are on course for a temperature increase of 3 degrees. The Paris Agreement aims for a maximum of 1.5 degrees. "We are already clearly feeling the effects just from the one degree that the global average temperature has risen since the pre-industrial era," says Seneviratne. More information: Vogel MM, Zscheischler J, Wartenburger R, Dee D, Seneviratne SI. Concurrent 2018 hot extremes across Northern Hemisphere due to human-induced climate change. Earth's Future, , in review.